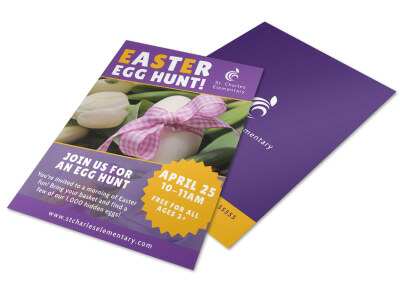 Customize our Fun Easter Egg Hunt Flyer Template and more! 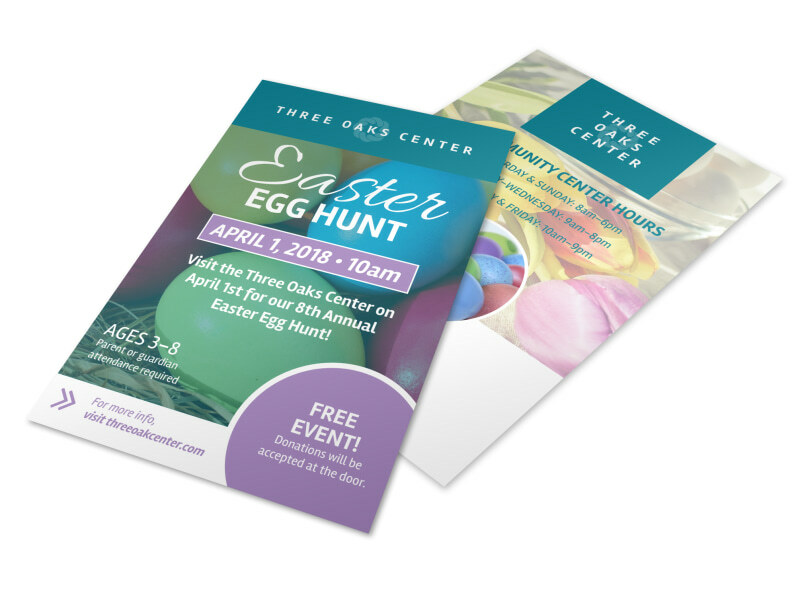 Make sure that the Easter Bunny knows where to find all of the eggs this year with a customizable flyer to promote your Easter egg hunt. Give the details of your hunt for potential attendees, including time, location and more. 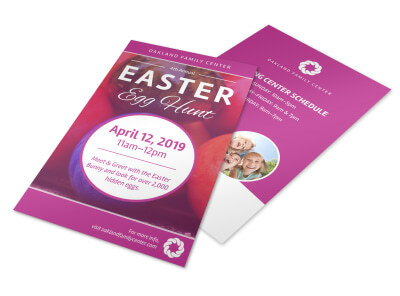 When you choose our self-printing option, you can get your flyer in hand fast.